As far as I can tell, there is only one cactus in my yard here at 6800 ft. MSL on the Front Range of the Rockies. It lives on a patch of dirt in the pocket of a huge rock. Whatever rain falls upon it quickly runs off or evaporates. 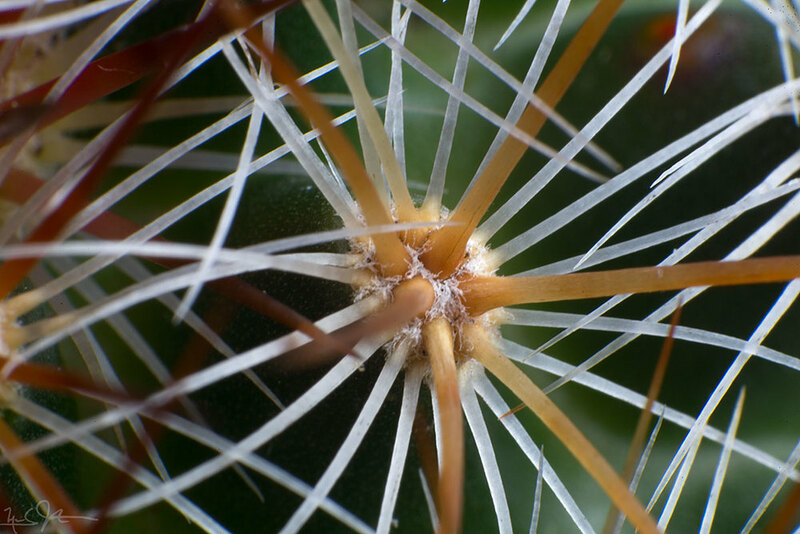 So while wildflowers of various sorts occupy most of the ground, this cactus may be the only thing that can survive in this microenvironment. Every year, this member of the mammilaria family blooms in the last couple days of May. For several days, the flowers open in the morning and close in the evening. And then they are gone until the next year. Link. Published on May 31, 2016 by Mark Johnston. Scales on the wing of a Cecropia moth, Hyalophora cecropia. Link. Published on May 24, 2016 by Mark Johnston. Link. Published on May 18, 2016 by Mark Johnston.